This week, Tax Justice Network Israel released a report in collaboration with the Friedrich-Ebert-Stiftung Israel comparing financial secrecy in Israel to that of other OECD countries. Based on the Financial Secrecy Index 2018 results, the report analyses Israel according to each one of the 20 indicators that compose the secrecy score in the Financial Secrecy Index and compares the results to those relevant to other OECD countries. Israel was ranked 34th out of 112 jurisdictions, with a secrecy score of 64 out of 100. The report, covered in depth by the Times of Israel, indicates that out of OECD countries, banking secrecy in Israel is ranked the third most secretive of all OECD member states after Switzerland and Austria. This is mainly due to Israel tough stance against financial whistle blowers, and other financial institutions who break client confidentiality. The report also points out that while Israel maintains a central register of real estate owners, alongside 32 other OECD countries, the registry does not contain information on beneficial owners. Furthermore, it is accessible online only to the Israeli public. In terms of trusts, Israel is classified in the most secretive category, along with another 10 OECD countries, for not requiring overseas trusts to register, even if they are managed by an Israeli trustee. This is because Amendment 168 of the Israeli Income Tax Ordinance (hereinafter: ‘amendment 168’) exempts new immigrants and returning veteran Israelis from reporting on such trusts. Furthermore, while trusts created in Israel have to provide details on their beneficial owners, the registry is made by Israel Tax Authority, rather than the companies registry, which means that the information is not publicly available. In its recommendations, Tax Justice Network Israel called on the Israeli government to cancel amendment 168 which was passed in 2008 with the goal of attracting to the country wealthy new immigrants and Israelis who returned after living for at least 10 consecutive years overseas. Amendment 168 exempts these newcomers from reporting on their overseas assets and income for 10 years. The exemption prevents Israel from applying systematic procedures for collecting information on money held by Israelis overseas. Such procedures include, for example, cross-referencing information submitted to Israel with records held by other countries, real estate agents or media and internet reports. The report argues that amendment 168 actually attracts to Israel people who wish to conceal their income, evade taxes, or launder their money. In fact, a 2016 State Comptroller’s report has already warned that the absence of such systemic procedures incentivises the laundering of capital or the use of capital which has been laundered overseas in ways that would harm both society and the Israeli economy. The State Comptroller further warned that this exemption did not meet international standards for transparency and information exchange because Israel cannot collect information on irregularities or criminal acts made by Israelis overseas. The report urges Israel to pass regulations that will enable it to honor a commitment it made in 2014 to join the OECD’s Common Reporting Standard (CRS) and, as of September 2018, to automatically exchange financial information about accounts held by foreign residents. The report mentioned that 26 OECD countries have already begun to exchange CRS information since 2017, and that out of 101 nations that already joined the CRS, Israel is one of the only ones not to have done so, alongside Turkey and classic tax havens such as Dominica, the Caribbean island of St. Maarten, and Trinidad and Tobago (and of course, the US, which still refuses to join while sticking to its own bilateral Foreign Account Tax Compliance Act mechanism). The report also mentions that Israel is in breach of its additional commitment to the OECD to meet country by country reporting requirements, i.e to force large multinational companies to submit financial reports on each country in which they operate, in order to prevent them from shifting their profits to tax havens or to low tax jurisdictions and thereby minimise or avoid paying tax. The report further warned that if Israel does not honor its international commitments, it is likely to enter the lists of non-cooperative countries maintained by the OECD and the European Union. The inclusion of Israel in such lists could eventually lead to a lowering of its credit rating, which could then lead to an increase in taxes, a cutback in state expenditure and an increase in unemployment. These recommendations coincided last week with an implied warning by Angel Gurria, OECD secretary-general, according to which if Israel does not swiftly pass the regulations to enable automatic exchange of financial information, the OECD would have to report Israel as a non-compliant country early next year. Finally, the report also calls on the Israeli government to oblige both public and private companies to register their beneficial owners and to set a deadline for cancelling or converting bearer shares. The report did provide some positive findings. 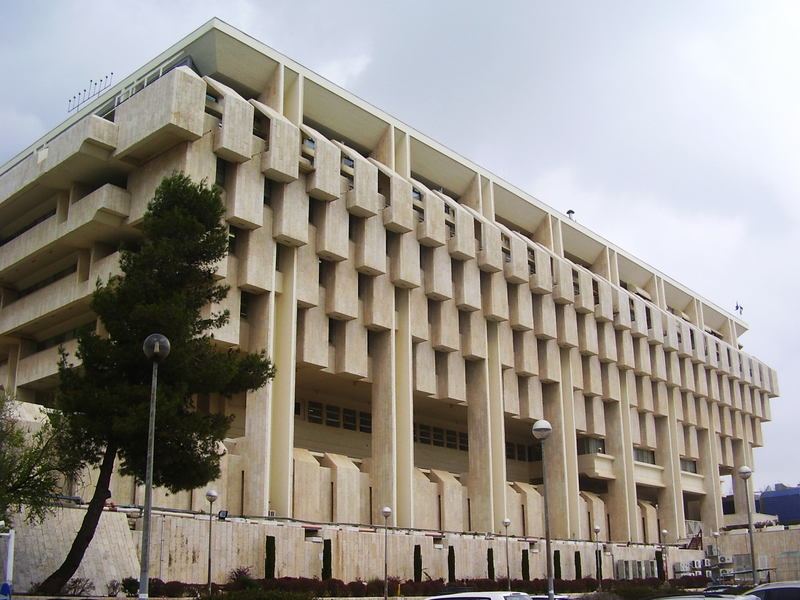 Compared with other OECD countries, Israel cooperates well with other countries on money laundering and bilateral tax treaties, it does not give an Israeli citizenship in return for financial investment and is one of the few OECD member countries that require taxpayers to report on certain aggressive tax planning schemes.